Picture it. The world is free of many of the major problems that plagued it for centuries. Hunger, homelessness, and natural disasters are no more. There’s no more disease. Who wouldn’t want to live in such a world? What price would anyone give to live in such a world? World Eternal has kept all the promises it made to the citizens of Earth in author Donna R. Wittlif’s first novel, World Eternal: Promises. 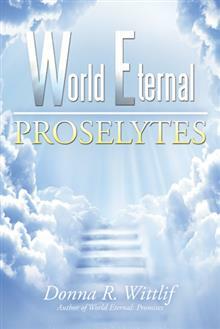 In World Eternal: Proselytes, we learn things are not necessarily as they seem. When Jim and his friends learn the secret of World Eternal’s food source, they know the world is in danger. World Eternal’s promises come with a high price. Jim doesn’t understand how big a price until he loses what he holds most dear—his family. World Eternal: Proselytes is the exciting story of Jim’s efforts to rescue his family and to unveil the aliens’ sinister plans. 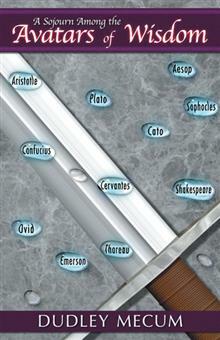 His discoveries lead him to an ancient code book, which he must return to its rightful owner. Will Jim have the courage to find the book’s owner—even if it means his death? Can he find his family and rescue them before they are lost to Ouima? What price will James, Nell, Jim, and their fellow Christians have to pay for their faith? 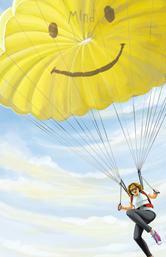 Find out in this exciting story that strengthens your resolve to follow Jesus. Donna is giving away a $25 Gift Card! This giveaway begins May 23 and ends on June 3. Winners will be contacted via email on June 4. Do you feel out of control, as though you’re not in charge of your own life? Does it seem like others are living your life for you? You have the power to change that feeling. You can take charge of your destiny. Author Lim Siew Lan believes we all have the capacity to meet a higher purpose by simply tapping into the depths of our own minds. In this inspirational manual, she presents a guide to discovering the depth and dimensionality of the mind through a series of an ancient time tested inspired steps designed to resemble those found in a common recipe book. She offers a true recipe for success in all aspects of life. Lim Siew Lan believes you are the captain of your own ship, and you must be well-trained and well-equipped in order to weather the storms that life brings to each of us. After a lifetime of dedicated spiritual study, she has created this collection of essential wisdom to help you delve deep into your own being and become aware of your own mind. Learning about yourself and what makes you tick is the key to a lifetime of success. Lim is giving away a $25 Gift Card! Kascey Kann is a focused, cutting-edge fashion designer ready to take New York City by storm. She is in the process of breaking away from her current employer and starting her own clothing line. Meanwhile, her financier boyfriend, Grady Chisholm, is setting up a new IPO. In the midst of their busy working lives in the city and global business commitments, Kascey and Grady find time for relaxing summers in Cape Cod and Monaco. What’s more, they are about to formalize their relationship through marriage. Life seems good. But when unexpected setbacks force them to reevaluate their working lives, they must start the process of rebuilding while turning to each other for support. As Kascey and Grady struggle to cling to their principles and triumph in their business endeavors, they rely on their relationship as the foundation for their lives. But are they on the road to success? In this modern professional romance, a hardworking and enterprising couple provide encouragement to one another as they forge a path toward entrepreneurial achievement. Gabrielle F. Culmer is a lawyer who holds degrees from universities in New York, Chicago, and the United Kingdom. She is also the author of three other novels-Arrive by Dusk, Damp Whisper, and A Matter of Keeping-and two collections of poetry: Glenely Bay and Nostalgia from Paris and Blue Streams to Paradise. She enjoys traveling to New York and Europe. Gabrielle is giving away a $25 Gift Card! Author Rachel G. Carrington lays no claim to lofty jobs, higher education, nor grand accomplishments except for a love-filled, multifaceted, family-oriented, poverty-to-plenty life. In The Early Years, the first in a series, she shares her story. As a young teenager, just entering high school in the small town of Denton, Kentucky, Carrington planned to attend college and become a teacher. With coursework geared toward college attendance, she was offered a lucrative scholarship that would help her to attain her goal. However, it took only a single event to send her down a different path. She met a returned World War II veteran who was attempting to pick up the pieces after finding his marriage in irreparable shambles and his children gone. 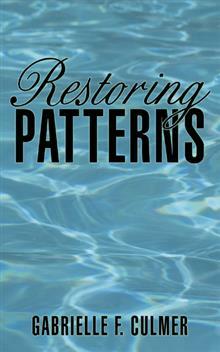 As he struggled, Carrington was there, and they pulled together to clear the many hurdles before them. In this memoir, she tells the story of their journey and how their love and dedication for each other kept moving them forward. 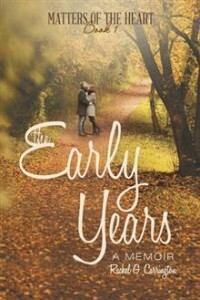 Filled with the joys, disappointments, and struggles of a couple, The Early Years narrates how the love of the heavenly Father was the continuous thread that bound Carrington’s life together. Rachel G. Carrington, a transplanted Kentuckian, is a widow, mother of seven and grandmother to three generations. Included with her many other interests, she spends much of her time writing and lives in Hamilton, Ohio and in Honolulu, Hawaii. Rachel is giving away a $25 Gift Card! M.S. Burke was only nineteen years old when she inexplicably tried to kill herself. It made no sense: She lived a privileged life of yacht clubs, tennis lessons, private schools, and summers in Canada. If you named it, she had it, including an incredible family-with three sisters she adored and two loving, supportive parents. At least she was able to make sense of her feelings after being diagnosed with manic depression, and she shares how she’s coped with the condition in this inspirational memoir. With one out of every four people suffering from some form of mental illness, one of the most critical lessons she learned is that if you want to achieve anything in life, you must overcome its stigma. 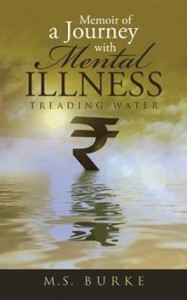 From her diagnosis to her hospitalizations, she reveals how she’s refused to let her affliction define what she can and cannot do with the support of family, friends, and psychiatric professionals in Memoir of A Journey with Mental Illness: Treading Water. M.S. 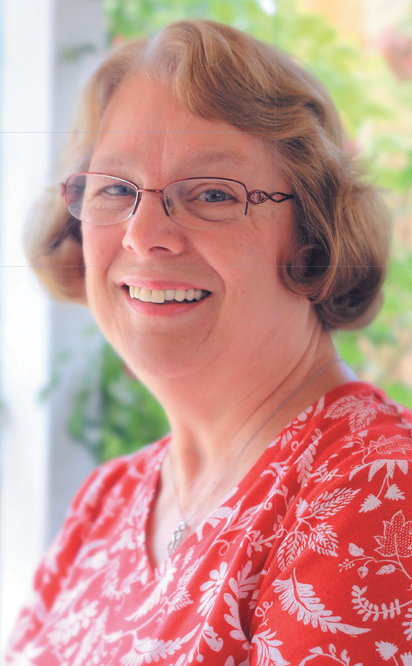 Burke teaches reading and has a master’s degree in special education. She lives in Florida with her two children and her love, Tina. M.S. is giving away a $25 Gift Card! 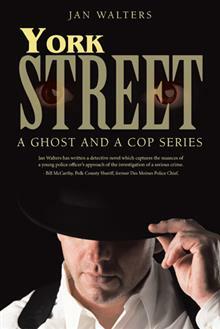 Brett O’Shea is a young street cop in Des Moines trying to make detective. He works by the book and doesn’t believe in hocus-pocus. When a killer begins terrorizing the streets of his city, Brett is forced to alter his view of the paranormal world when a ghost appears in his bedroom. Al is an irreverent, rule-breaking ghost, and his appearance forces Brett to reassess all his no-nonsense beliefs. Logic goes right out the window when Al offers to help catch the man terrorizing the city as well as solve the murder of his detective grandfather in 1933. It soon becomes apparent the killer lurking in the dark corners of Des Moines has strange capabilities. Brett and Al are on a supernatural rollercoaster, and they find danger at every turn. How is Brett supposed to stop a killer with otherworldly powers, and what does the murderer have to do with his grandfather? To save the city, Brett and Al must become a half dead crime fighting duo or lose everything. Jan Walters and her husband live on a farm in Iowa. She grows produce to sell at local restaurants and farmers markets. Besides writing, she enjoys researching family genealogy. Her family has served on the Des Moines Police Department since the late nineteenth century. She is also the author of Believe. Jan is giving away a $25 Gift Card! This giveaway begins December 7 and ends on January 11. Winners will be contacted via email on January 23. Dudley is giving away a $25 Gift Card! This giveaway begins January 11 and ends on January 22. Distance walkers and runners can generate some of the funniest stories. As these individuals dedicate themselves to the world of fitness, many crazy things can happen on a trail, greenway, or asphalt. Thousands of fitness enthusiasts choose asphalt as their favorite body-pounding material for long-distance events. Through the fictional character of long-distance runner Joe Pounder, Crazy Tales on the Running Trails, by author and athlete Joe Sinclair, offers a spirited collection of stories describing humorous events that occurred during running events held on asphalt or trails. In his running world of pounding more than 5,000 miles of pavement, Pounder has observed much more than just the thrill of victory or the agony of defeat. 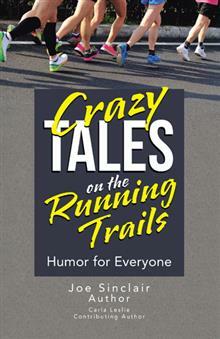 Crazy Tales on the Running Trails shares stories featuring peculiar events as seen through the eyes of the infamous Pounder on his journeys across the asphalt. This humorous look at the running world brings together a host of unique characters who meet up along the world’s trails. Joe Sinclair is an author, educator, and athlete. He earned a doctoral degree from the University of North Carolina at Greensboro and served as superintendent of schools in various North Carolina districts for more than twenty years. Sinclair and his wife, Claryce, live in Statesville, North Carolina. Carla Leslie has worked in public education and the travel/tourism business throughout her career. In addition to having an avid interest in creative writing, Carla enjoys web design, videography, and traveling to historic places. She has established two online bridal/home décor shops and enjoys sharing her 100-year old farm and other vacation retreats with friends and tourists who travel through her native state of West Virginia (www.CountryCabinWV.com). Carla and her husband, Jim, reside in Wilkesboro, North Carolina. Joe is giving away a $25 Gift Card! Tom Blaine, the son of poor coal miners, sees his life with a vision unclouded by coal dust. His intelligence is his key for a better future in his home in the Appalachian Mountains of eastern Pennsylvania. Instead of following his father and older brother down the mine shafts, he opts for a life surrounded by love. His heart belongs to Nola, the daughter of the local grocer, and his working hours are spent in her family’s grocery store. Life in a coal mining community is filled with uncertainty, suffering, and too-frequent tragedy. His own mother had to abandon her dreams of becoming a teacher, lacking the funds to get an education. Tom’s life is tainted by bullies and narrow-minded neighbors, but he is still determined to rise above the odds to build a better life for himself and his lady love. As the nation is pulled into World War II, Tom follows his instincts to protect all that he loves. He enlists and heads into the bloody fields of battle. Life on the battlefield is a shock to the small-town boy from Pennsylvania, but he does his best, relying on his wits and natural physical abilities to survive. Even on the front line, he uses his natural gifts to bring optimism and humor to an indescribably difficult experience. But are those gifts enough to return him to his wife’s loving arms? Allan is giving away a $25 Gift Card! This giveaway begins November 30 and ends on December 11. Winners will be contacted via email on December 12.